Lemon Lavender Cookies. Don’t those sound delicious? They are from Indianapolis area hobby baker Jennifer Dickie. She grows her own lavender and puts it into her cookies. She says they’re deceivingly simple (6 main ingredients) but have a big wow factor when people taste them. They are a light, delicate cookie and not overly sweet. This is what won last year: Indiana State Fair 2013 Cookie Winner and below is this year’s winning recipe. 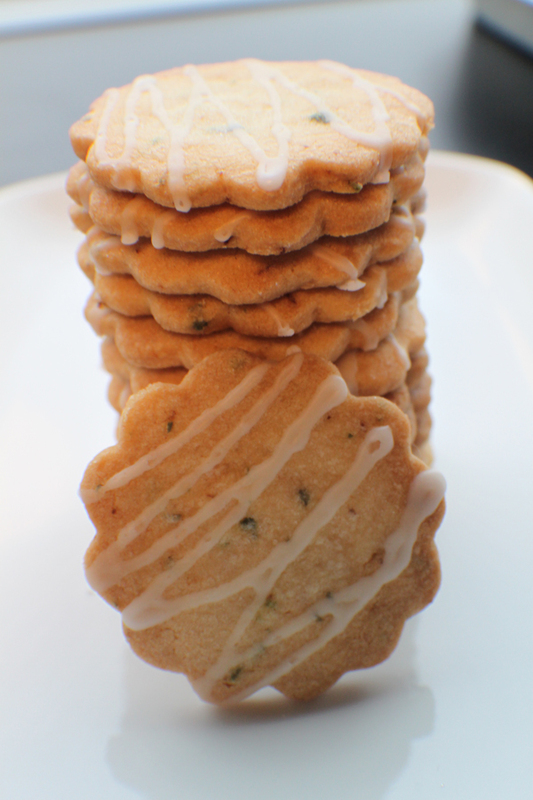 Key Lime Delights in 2013 and Lemon Lavender Shortbread in 2014. I see a citrus theme. And am now totally craving cookies. Beat butter until fluffy in mixer on medium-high. Add powdered sugar slowly and beat until well blended. Add Gold Medal Flour and salt, mixing until just combined. By hand, stir in zest and lavender. Chill dough for 1 hour. Preheat oven to 350 degrees. Prepare cookie sheets with parchment paper. On a pastry cloth, spread granulated sugar for rolling the dough. Sprinkle top of dough with more sugar. Roll dough to 1/4 inch thick. Cut with any cookie cutter you wish. Dip cutter in granulated sugar for easier release. Place on cookie sheet. Bake for 20 minutes until golden around the edges. Remove from cookie sheet to cool completely. Optional: Combine to taste and create a light drizzle, small portions of powdered sugar, milk, lemon juice, and a pinch of salt. Place in small plastic bag. Snip end and drizzle across your cookies.